Marx delivered two lectures to the International, in June. They were eventually published as a pamphlet, “Value, Price, and Profit”—a polemic so succinct and sharp that it makes you wish that Marx could return as a blogger. Raise wages, and we might see (as one contemporary economic writer has shown) a slight rise in the price of a Big Mac. But we should also see a boost in demand for lower-cost restaurants—and that, ultimately, is good for fast-food businesses and their employees. We should also see a marginal drop in demand for, say, yachts. 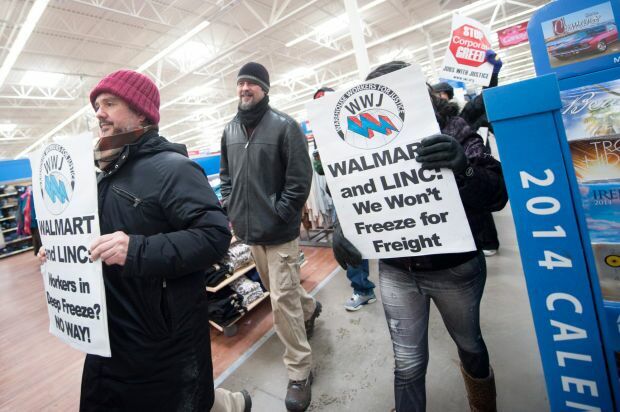 HAMMOND | Warehouse workers marched through a local Walmart Supercenter on Tuesday to protest frigid working conditions. This weeks committee meeting is cancelled due to schedule conflicts. We will see you next Wednesday, Feb. 5th. Our next Fair Wage Café will be Mar. 22. The original welfare reform bill—a bill, it should be recalled, which was signed by President Bill Clinton—included an allocation of $100 million for “chastity training” for low-income women. 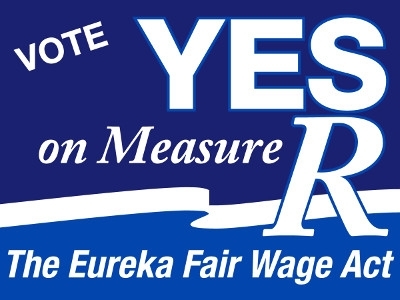 If given the chance, would you vote to raise the minimum wage? A coalition made up of civil rights and labor groups called “Raise Michigan” announced Monday it’s exploring the option for a ballot campaign, but has not yet started collecting signatures. A formal decision on whether to move forward with the campaign is expected in the next few weeks. “This is a big issue and we know public support is definitely on our side,” said Danielle Atkinson, the director of Mothering Justice, which is one of the members of the coalition. Atkinson said she and the rest of the committee feel confident it’s the right time to take the issue to voters. Recent legislation from Democratic lawmakers has proposed raising the rate to $10 or more an hour. The ballot campaign hasn’t named a specific figure yet. The coalition would need to collect about 200,000 signatures to place the initiative on the Nov. 2014 ballot. Members of the coalition include the Center for Progressive Leadership, Michigan United, MOSES, the Restaurant Opportunity Center (ROC) Michigan, and Mothering Justice. Wal-Mart Stores Inc. said it is eliminating 2,300 workers at its Sam’s Club division as it reduces the ranks of middle managers in a bid to be more nimble. The layoffs, which cut 2 per cent of the membership club’s US employee count of about 116,000, mark the largest since 2010 when the Sam’s Club unit laid off 10,000 workers as it moved to outsource food demonstrations at its stores.